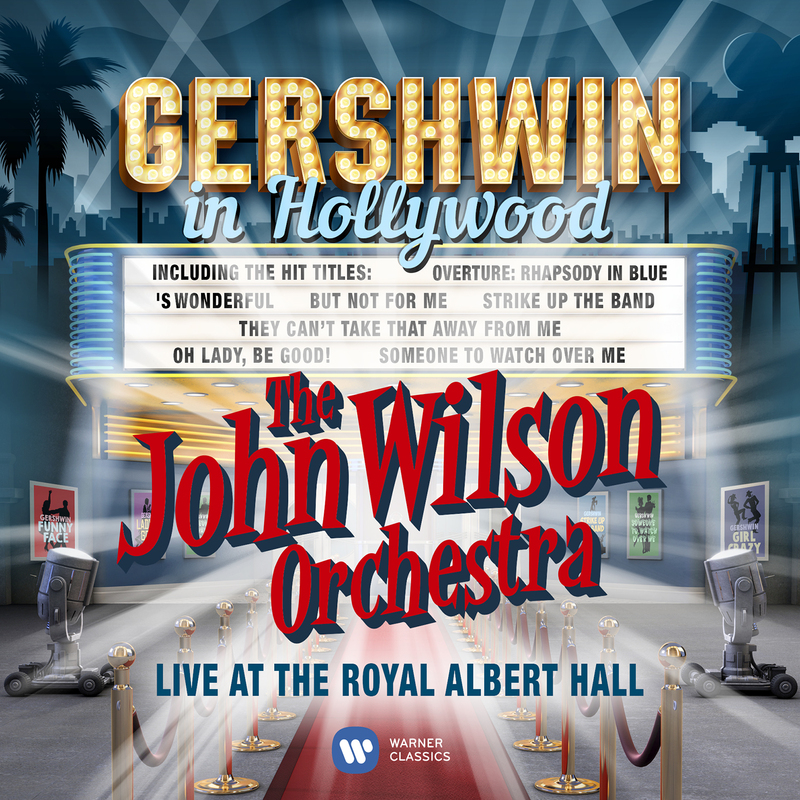 The John Wilson Orchestra is over 20 years old, founded by the conductor John Wilson in 1994 the orchestra specialises in the music from the Golden Age of American films with a line-up which mirrors studio orchestras. 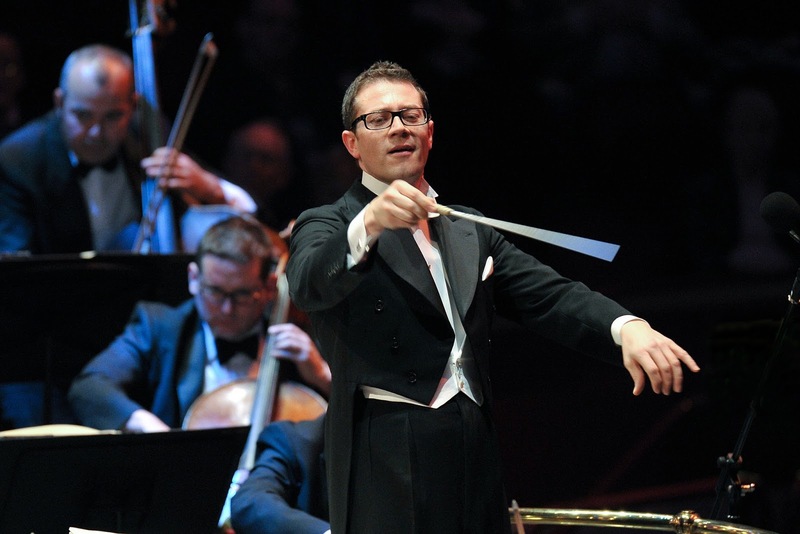 This autumn John Wilson and the orchestra are giving a 12-date UK tour, Music from the Movies starting at Bristol's Colston Hall (16 November) and ending at London's Royal Festival Hall (2 December). To celebrate the tour, Warner Classics is releasing a live recording of I Was Doing All Right with Louise Dearman, taken from the 1937 film The Goldwyn Follies. But John Wilson doesn't just conduct mid-20th century American film music, he also had a busy concert career and recently made his debut at Glyndebourne, conducting Puccini's Madama Butterfly for Glyndebourne on Tour. I chatted with John to find out more. First I was interested to find out what audiences could expect from the orchestra for the current tour, and John explained that there will be more orchestral numbers and less singing than on recent tours, and that he had cast his net as wide as possible for the repertoire in order to include the best film music from 1935 to the 1960s with music by names such as Tom Gold, Max Steiner and Franz Waxman. They will also be including songs which won Academy Awards and songs which were written for the film, sung by Kim Criswell and by Matt Ford whom John describes as his favourite stylists. Also included in the programme is music from the Tom and Jerry cartoons, which John describes as the hardest thing they have played. 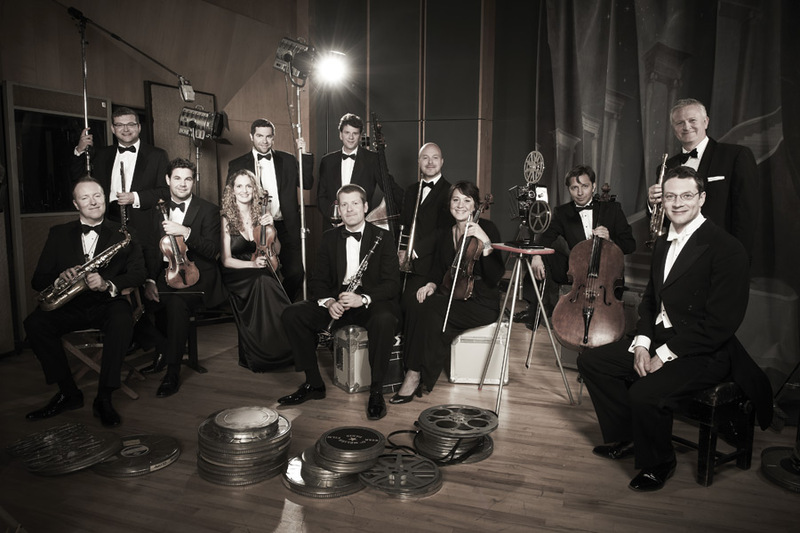 The John Wilson Orchestra is popular, their 2013 BBC Proms appearance playing music from Tom and Jerry got over 3 million hits on YouTube. John finds it interesting to present such pieces away from the visuals; until they hear them in concert John thinks that most people have never really place the music in the foreground. This was the second interview in a week where one topic which cropped up was the difficulty of getting the source material (see my interview with Odaline de la Martinez, talking about her problems getting music by Dame Ethel Smyth). Some of the film studios were famous for dumping the musical material, and John has not yet done a concert where he did not have create a lot of the material. For the November tour they are playing material which they performed at the Proms, but for the Proms performance John had to create a lot. He describes it as a labour of necessity, but you suspect it is also a labour of love too. But John's attitude is relatively forgiving, pointing out that the music was regarded simply as entertainment (backing for films) rather than art music, and a number of studios such as Fox and Warner did keep a lot. One of the reasons why the music is worth playing is that studio orchestras were fine ensembles, employing some of the best orchestral musicians of the day, John calls the MGM Studio Orchestra one of the greatest orchestras in the world, and so the studio composers wrote up to the orchestra. 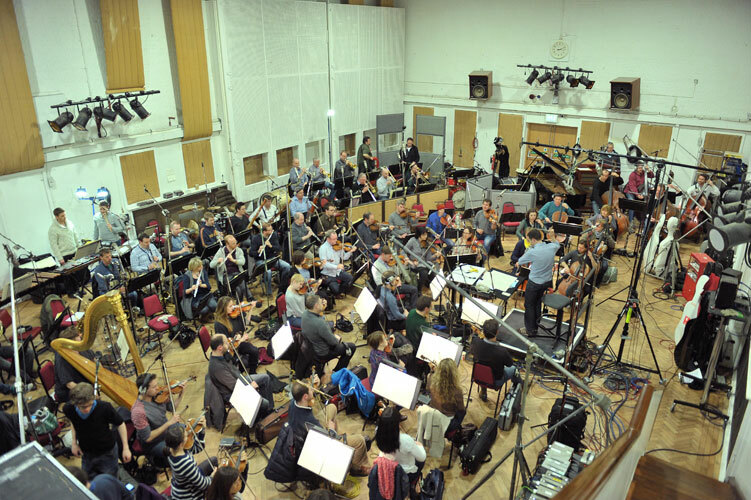 The John Wilson Orchestra has changed somewhat since John first founded it in 1994, the repertoire has broadened and the orchestra has got bigger. But John points out that a lot of the players are the same and that the orchestra has had a very settled line-up for the last decade. The group has also got more ambitious, with a great orchestra like the MGM Studio Orchestra to emulate they are always striving to create the Hollywood sound and play to Hollywood standards. As the players have developed individually and become more self-critical, then ironically it gets harder rather than easier. But with the stability of the ensemble, the players have come to trust each other and are used to playing together. John was born and brought up in Gateshead, Tyne and Wear (and still has something of a Geordie accent), going on to study composition and conducting at the Royal College of Music. And he says that as a kid he never thought of one type of music as different to any other music, his interests were wide listening to Elgar one week, musical comedy, Mozart or film music. When young, John feels, people do not erect barriers, and he has simply carried this through into adult life. And whilst John is best known for his work with the John Wilson Orchestra, he in fact calls it a sweetmeat. He also has a regular concert career conducting classical orchestras, but it is the John Wilson Orchestra which gets on TV. He admits that he would get awfully bored if he was doing only one thing all the time, and he has always done lots of different things. 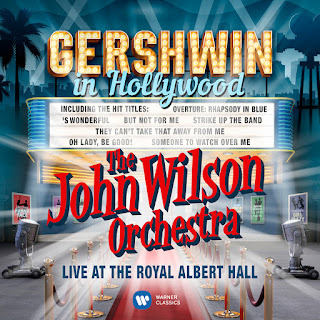 But he only usually does light music with the John Wilson Orchestra, partly because the orchestra's line-up is configured to do that style of music. If performing the music with a classical orchestra, they would need to add at least saxophones and rhythm sections. So, in fact, when working with classical orchestra, John is invited to conduct classical music and has relationships with a number of UK orchestras, as well as being Associate Guest Conductor of the BBC Scottish Symphony Orchestra and principal conductor of the RTE Concert Orchestra. Has lots of different projects lined up, working through the RVW symphonies with a variety of orchestras (you can hear him conducting the CBSO in RVW's London Symphony on YouTube), doing a French programme of Ravel and Debussy, and conducting Rachmaninov Symphony No. 2, Szymanowski's Symphony No. 4 and Brett Dean's Komarov's Fall with the National Youth Orchestra in January 2017 (see the orchestra's website for details). With the BBC Scottish Symphony Orchestra he will be conducting Mendelssohn, Schubert songs (with baritone Benjamin Appl) and Korngold's Symphony in F sharp minor in March 2017, and Britten's Serenade for Tenor, Horn and Strings and Elgar's Symphony No. 3 in April 2017 (see the BBC website for details). But, whilst John has done a lot of opera in concert and conducted operetta in the theatre (including Gilbert and Sullivan's Ruddigore with Opera North, John admits to being mad about Gilbert and Sullivan), he had never conducted opera in the pit until now. 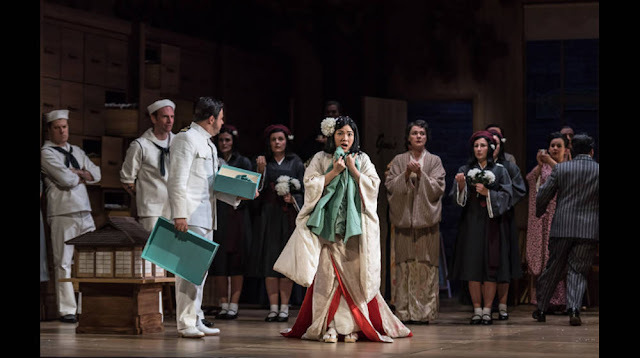 When I talked to him, he was in the middle of the Glyndebourne on Tour performances of Puccini's Madame Butterfly in Annilese Miskimmon's new production which opened at Glyndebourne on 14 October 2017 with Karah Son as Cio-Cio San. When I ask John how he is finding his first staged opera, he says that he is loving it. He calls working at Glyndebourne a luxury, citing both the amount of rehearsal time and the fact that the staff are marvellous. It is a work with which he feels very at home, his first recording of it (acquired when young) was the recording by John Barbirolli with Renata Scotto in the title role. Juggling two tours this Autumn requires careful planning, and John comes off the Glyndebourne tour after Milton Keynes (12 November) and Gareth Hancock takes over, so that John can concentrate on the John Wilson Orchestra tour.